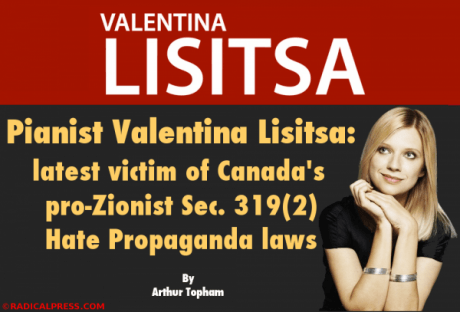 Pianist Valentina Lisitsa: latest victim of Canadaâ€™s pro-Zionist Sec. 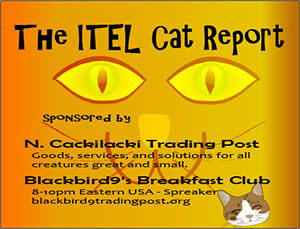 319(2) Hate Propaganda laws | Inside the Eye - Live! Back on April 27th, 2011, just days prior to Canadaâ€™s May 2nd federal election that saw the Stephen Harper Conservative government ascend to power, I penned and published an article titled, Hating Harper. The purpose of the piece was two-fold; first, to highlight my own battle with the then despicable Sec. 13(1) â€œhate crimeâ€ legislation that the Canadian Human Rights Commission and Bâ€™nai Brith Canada had been using against me since 2007 and second, to warn the Canadian electorate of the potentially dire consequences for the nation should the Conservative win a majority government. â€œPlainly stated Canada is a Zionist Jew-controlled colony of the state of Israel. . . While hidden for over six decades from the majority of Canadians by the Zionist-controlled mediaâ€™s â€˜Iron Curtainâ€™ of deception it is nonetheless an established fact and a reality that must be faced if the nation is to ever recover its former independence and sovereignty. Anyone who desires to dispute this assertion has to explain and justify to the people of Canada why there is not a single federal political party in the country willing to stand up to the Zionist Jew lobby that now wields such a sinister political influence upon the nation. To attempt a negation of the argument without speaking to this issue can only be construed as evasion and denial. In the thick of yet another federal election, with Harper and his Conservative party striving with utmost intent to gain a majority government, this pseudo-Semitic elephant in the midst of Canadaâ€™s political/judicial/cultural/social living room blithely goes about its business of knocking over, crushing and destroying the countryâ€™s constitutional rights along with trammeling upon its domestic and foreign policies, all the while aided and abetted in its traitorous actions by a colluding, fifth column â€˜mainstreamâ€™ media; itself but another monopoly controlled weapon within the Zionistâ€™s plethoric armory of subterfuge and deception. . .
. . …The Conservative government of Stephen Harper is a contemptible Trojan Horse. Like previous governments it was dragged into Ottawa under the pretense of being the best option for Canadians to preserve not only their integrity as a free and democratic nation but to set a good example for the rest of the world; one that other nations might look up to and aspire after in the hope that someday they would also reap the benefits that a free society and sovereign democracy can offer to its people. This has not been the case. 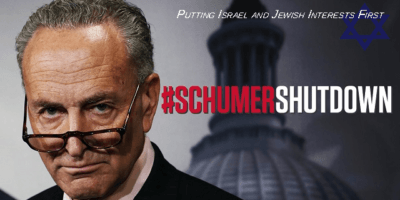 As we can see from the graphic immediately above there is a specific, self-chosen group of zealots who, through subterfuge and the power of their usurious â€˜purseâ€™ plus their Babylonian Talmud-inspired ideology known as Zionism, have a totally different agenda in store for the nation. On April 28, 2011, the day after my article appeared on the net Canadaâ€™s #1 serial â€œhate crimeâ€ complainant working for the Canadian Jewish lobby organization Bâ€™nai Brith Canada (a court order prohibits me from mentioning his name), filed a Sec. 319(2) CCC complaint against myself and my website RadicalPress.com alleging that I was â€œpromoting hatred toward Jewsâ€. On May 30, 2011, less than a month after the Harper Conservative government won the election, a second Sec. 319(2) CCC â€œhate propagandaâ€ complaint was filed against me and my website by a representative of Bâ€™nai Brith Canada (a court order prohibits me from mentioning his name as well) also accusing me of â€œpromoting hatred toward Jewsâ€. Both of these complaints were received by the BC Hate Crime Team in Surrey, B.C. and an investigation was undertaken by Det. Cst. Terry Wilson. A year later on May 16th, 2012 I was arrested by the BC Hate Crime Team while traveling to work and placed in a jail cell while the RCMP illegally entered my premises using a trumped up â€œsearch warrantâ€ and stole all of my computers and electronic files containing well over a hundred thousand private emails. I have been fighting this second, specious criminal charge that could result in a two year jail sentence ever since. The case is now in BC Supreme Court with a trial date set for October 26th, 2015. With the one exception of my home town community newspaper the Quesnel Cariboo Observer and its illustrious editor Autumn Macdonald, ever since 2012 my story has been virtually blacked out by Canadaâ€™s mainstream media. Nothing, other than the usual smear and slander that appeared back in the msm in November of 2012 when the Indictment was formally handed down by the BC Attorney Generalâ€™s office, has come out in the press since relating to the mis-use of these so-called â€œHate Propagandaâ€ laws. 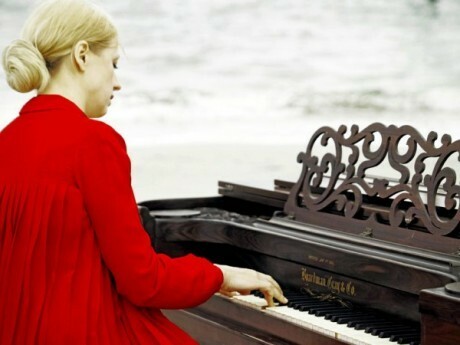 The recent case of world renowned pianist Valentina Lisitsa has once again highlighted the hypocrisy, bigotry and outright malfeasance that pervades Canadaâ€™s judiciary and the nationâ€™s cultural and social media environment when it comes to using the â€œhateâ€ card, aka Sections 318 â€“ 320 of Canadaâ€™s Criminal Code, to harass, intimidate and slander anyone whose opinions and political viewpoints donâ€™t fall in line with the expected (and calculated) agenda of the Zionist interlopers who now control the Prime Ministerâ€™s office, his cabinet and, thus far, the leaders of all the other federal parties. 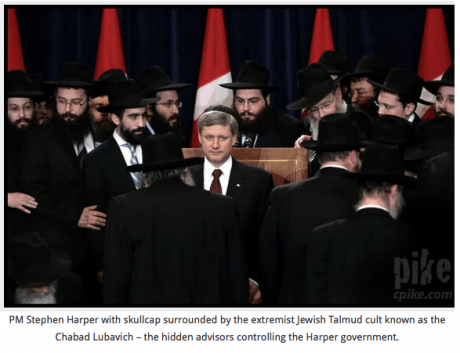 So what exactly does Canadaâ€™s Criminal Code say about â€œhateâ€ â€“ this oft used and ever abused term that the Zionist lobbyist has managed to inject, via subterfuge, into the countryâ€™s legal system and their media tool kit? Judging from the wording of the text we find that just like the term â€œterroristâ€ thereâ€™s no actual definition given as to what the word â€œhatredâ€ means. In other words it is subjective and means whatever a person or lawyer or judge decides it means to them. 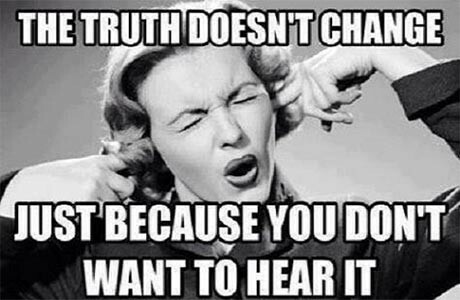 This fact renders it useless in terms of trying to argue against it or debate it once the word has been inserted into jurisprudence thus making it merely a tool for intimidation and control in the same way that the term â€œanti-Semiteâ€ has been used for the last century to browbeat and demonize anyone who so much as issues a dissenting sigh in hearing distance of a Zionist Jew or one of their sycophantic lackeys. The same has now become true for the â€œ6 millionâ€ holocaust debate wherein an accusation of being a â€œholocaust denierâ€ has taken on the same legal authority in certain countries and is being used to censor proven historical facts and jail anyone who so much as questions whether the alleged event ever occurred in real time or disputes the purported numbers. This misses the point on at least two counts. First, Lisitsa was not invited to Toronto to discuss her provocative political views. She was scheduled to play the piano. And second, banning a musician for expressing â€œopinions that some believe to be offensiveâ€ shows an utter failure to grasp the concept of free speech. Itâ€™s a well established fact that those who accuse others of â€œpromoting hatredâ€ are, themselves, the ones who hate to hear the truth and therefore resort to Canadaâ€™s infamous â€œHate Propagandaâ€ laws in order to stifle any discussion related to their own questionable actions. Such has been my own experience in dealing with my accusers and, as we can see from Valentinaâ€™s encounter with the bureaucrats who run the Toronto Symphony OrchestraÂ she ran into this this same mindset; one that invariably displays both a lack of integrity and the inability to talk openly and honestly about their intentions or their ultimate agenda. Are we finally seeing a change in attitude on the part of Canadaâ€™s mainstream media when it comes to actually challenging Canadaâ€™s ill-conceived â€œHate Propagandaâ€ laws contained in Section 318 â€“ 320 of the Criminal Code? Is Canadaâ€™s media, the same organ that trumpeted the call for the repeal of Sec. 13(1) now going to tackle the final citadel of censorship, Section 319 of the Criminal Code? If so then theyâ€™ll also have to start considering lending a positiveÂ voice to organizations like the Ontario Civil Liberties Association, the one and only civil liberties group in Canada to date that is openly supportingÂ my legal case and the repeal of these Orwellian â€œHateâ€ laws that reap nothing but repression, opprobrium and the loss of free expression for all Canadians and others like pianist Valentina Lisitsa. The time is long past for Canada to resume its former role as a free and democratic nation and nothing will ensure that this happens more than the country ridding itself of all its Zionist-inducedâ€œHateâ€ legislation.